There's a reason Botox is the leading non-surgical cosmetic procedure in America, and why so many men and women from in and around Fayetteville, Arkansas turn to Skin Ink & Laser for this revolutionary treatment. Botox has the power to provide a more youthful, rested appearance without invasive surgery. If you're ready to explore what Botox can do for you, schedule an appointment at Skin Ink & Laser today. Online scheduling is available, making it easy to find an appointment time to fit your busy schedule. Botox is a neurotoxin created from an organism called Clostridium botulinum, which is found naturally in soil, forests, and even within certain mammals and shellfish. Neurotoxins work by disrupting the ability of your nervous system to transmit signals to your brain. Botox has more than 20 different medical uses, including treating eyelid and shoulder muscle spasms, improving migraines, and treating hay fever. In cosmetic applications, Botox works by paralyzing the small muscles in your face that cause wrinkles. When used for aesthetic purposes, Botox is delivered via injection. 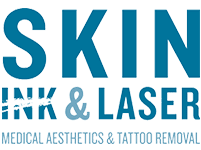 At Skin Ink & Laser, highly trained nurses administer Botox injections on a daily basis. Injections are carefully placed in the upper portion of your face to address frown lines, forehead wrinkling, and crow's feet. Delivering these injections is as much of an art as a science. That's why it's so important to always receive Botox treatments from highly skilled and experienced providers. One of the reasons Botox is such a popular cosmetic option is that it’s generally well-tolerated by most people. An estimated 6 million Botox injections are administered each and every year. Botox isn’t recommended for women who are pregnant or currently breastfeeding. Many women who've had a previous allergic reaction to Botox or any of the ingredients used in the injections should also pursue other cosmetic treatment options. Some people are genetically predisposed to react to Botox with mild and temporary responses. It's also possible to develop antibodies after your first Botox treatment that will reduce the effectiveness of any subsequent treatments. This is incredibly rare, however, and only an estimated 1% of people receiving Botox injections develop these antibodies. Like any treatment, Botox does have a risk of side effects. However, side effects are incredibly rare and temporary. Your practitioner will discuss potential side effects with you during your appointment. To explore the ways that Botox can help address the signs of aging, schedule an appointment today.